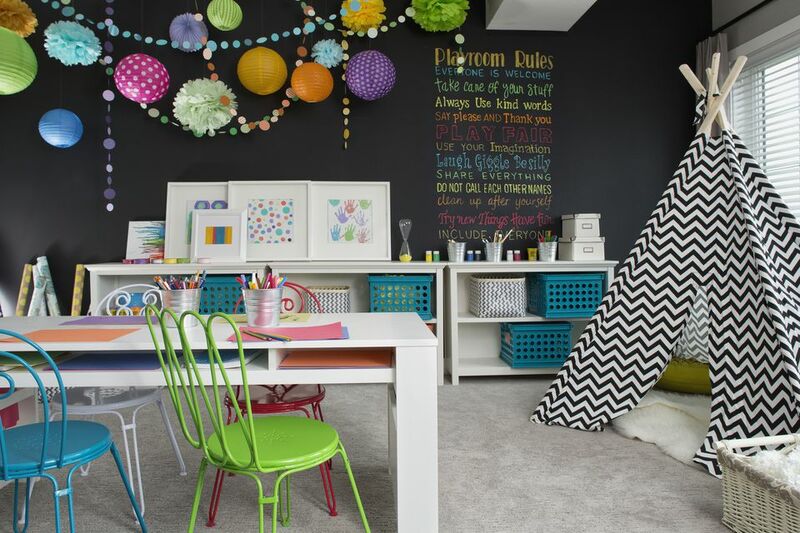 Dividing a playroom into separate zones is a great way to help keep things organized. Have one area for messy activities, one for quiet activities, and an open area for play. The more room you have the more zones you can create. Make sure that craft zones have a table, comfortable seating, and space to spread out paints, crayons, glue, glitter, etc. It's also a very good idea to have a storage zone with shelving, bookcases or bins where everything can be put away at the end of the day.